Volunteering at the Refugio is so overwhelmingly rewarding. Traveling with yards of parachute cords of all sorts of color my goal was teaching 100 kids how to weave bracelets. They were very excited. I quickly became overwhelmed. Fortunately, some of the first girls I taught started leading their own small groups ensuring everyone who wanted to make a parachute cord bracelet went away smiling wearing a bracelet of their favorite colors. The 100 hugs of thanks was a terrific reward. The next 2 times I volunteered the kids remembered me and started yelling “Tomas, Tomas.” They had actually remembered my name and wanting to show me everything around them. The Refugio gives them a safe place to be a kid, opportunity to grow in various ways, mental and physical help, and perhaps their only meal of the day. 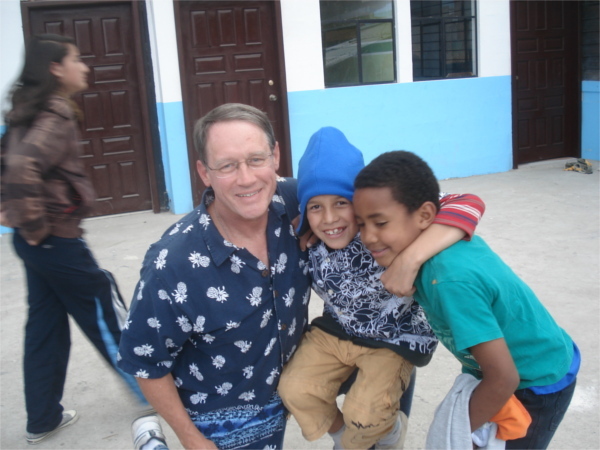 On my last visit, I was getting hugs of gratitude for caring about them from countless kids! We visited the apartment of a family where 4 of the kids attend the Refugio to check on how they were doing. While obviously poor, love was evident in the household and we were able to have good conversations with the kids and their mother. We could see there was hope for the future. I didn’t realize how far that family had come because of the volunteers before me and the highly dedicated staff until my group leader showed me a picture of the oldest daughter several years earlier. I didn’t recognize her because she was a scared little girl nearly in a fetal position. Because of the work done before me, I got to see the mom and daughter walking down the street, hand in hand laughing. 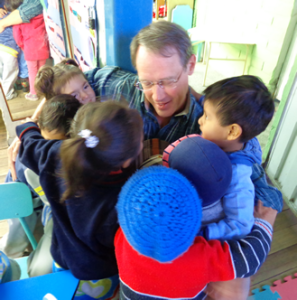 That’s the power of what the Refugio and its volunteers do...and the power of a hug.